Thomson’s atomic model is first atomic model proposed in 1898 related to atomic structure. This model is similar to water-melon in which positive charge protons is like pulp in which negative charge electrons like seeds in water-melon, also known as pudding model. This model is called Thomson’s atomic model. Thomson’s atomic model is unable to explain scattering experiment of Rutherford. 1. So many particles passes through the gold foil without any deflection. 2. Some alpha particle are deflected at different angles. 3. Very few about 1 in 20,000 are bounced back (at 360 degree) from gold foil. 1. Most of the part of the atom is hollow and neutral so alpha particles passes straight without any deflection. 2. 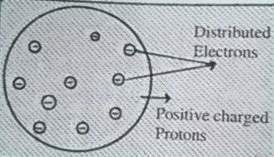 All positive charge is present in center of atom so alpha particle are deflected at different angles by repulsion from positively charged center known as nucleus. 3. Only very few particles bounced back so size of nucleus is very small as compared to size of atom. 4. 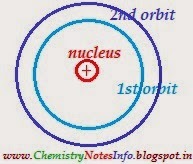 Electron moves around nucleus like planet moves around sun in orbits. 5. Mass of electron is negligible so all mass of atom is present in nucleus. 6. Atom is electrically neutral so number of electron is equal to number of proton present in atom. 1. Stability of atom is not explained on the basis of this model. 2. This model could not explain discrete spectrum. Neils Bohr in 1913 gives a simple model for atomic structure based on the quantum theory. 1. 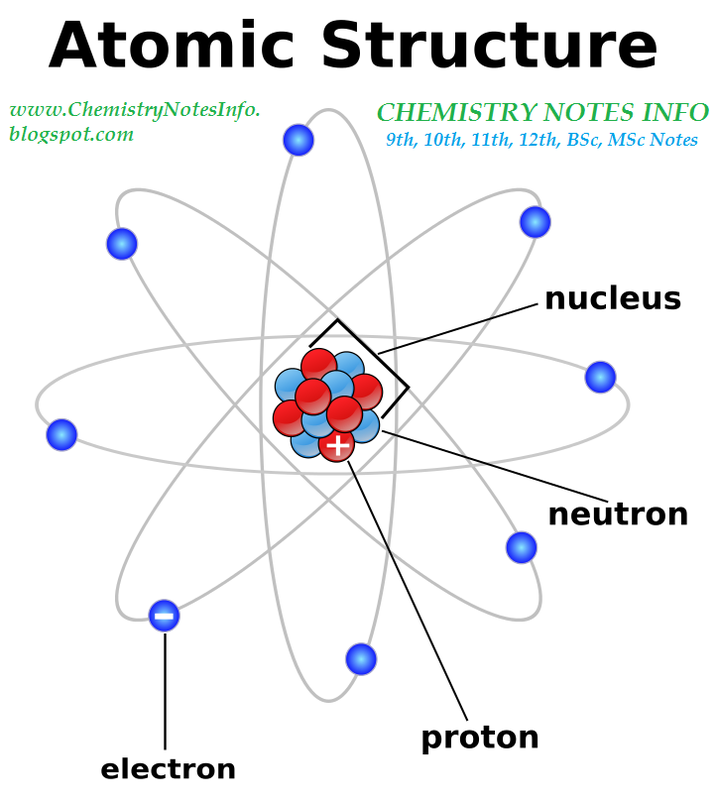 All atoms consist of dense, very small, positively charged nucleus that have all protons and neutrons in it. 2. Electron revolve around nucleus in definite energy paths known as orbits, shell or energy levels. 3. Orbits denoted by (n). value of n is whole number 1,2,3,4………. etc. which are represented as K,L,M,N…………. etc. respectively. 4. As we increase the value of n the orbit move farther from nucleus (means distance between nucleus and orbit of higher n is more than smaller n) and their energy also increases so n=1 or K shell have lowest energy. 5. If an electron revolve in same energy level then their is no change in its energy level. 6. As electron absorb energy from outside, it gets exited and move to higher energy level and come back after emitting energy to lower energy level.